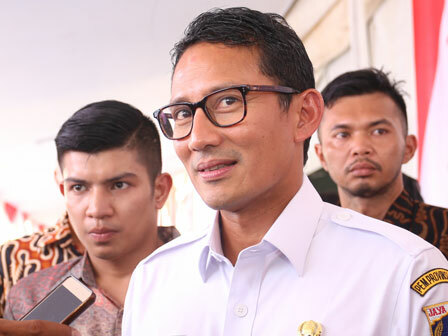 Jakarta Vice Governor, Sandiaga Uno is visiting Dubai over an invitation by The Ruler of Dubai Emirates, Sheikh Mohammed bin Rashid Al Maktoum. In the meeting, he will convey investment opportunities thus Dubai investors could join to invest in Jakarta.
" I hope Dubai investors will be interested to involve in infrastructures project in Jakarta"
According to Sandi, his party will explain Jakarta economic plans for five years ahead. The meeting also becomes a moment to inform foreign investors that Jakarta very opens investment opportunities, especially in term of building infrastructures. "I hope Dubai investors will be interested to involve in infrastructures project in Jakarta," he hoped, Wednesday (11/15) night. He continues, Dubai Government is interested to know about investment opportunities in Jakarta. "We'll open opportunity to have a long-term cooperation," closed Anies.